It’s not too late to make a year-end donation to the VLP! October 25-30th marked National Pro Bono Week. We at the VLP thank all our wonderful, dedicated volunteer attorneys, law graduates and law students who provide critical legal services to our clients. While I was in private practice for over 46 years, I can truly say that my eyes to the real meaning of being an attorney opened when I connected with the Brooklyn VLP 25 years ago when I was shown the vast number of people in Brooklyn, some 600,000, who could not afford counsel when they needed it and therefore were denied the justice they deserved. The real joy in my connection with VLP rests in becoming a volunteer and helping those less fortunate achieve the goal of steering through the many obstacles of our legal system and making it work for them. Please don’t misunderstand, the prestige and monetary rewards of partnership and private practice were wonderful…but nothing, no nothing, compares to look of gratitude in the eyes of a VLP client successfully served when they realize what VLP has done for them. If you’ve never had the experience, you don’t know what it truly means to be a lawyer. Organizations like VLP provide legal services to those who otherwise would be denied justice. Once that sinks in and you realize that you can make a difference, it doesn’t get any better than that. 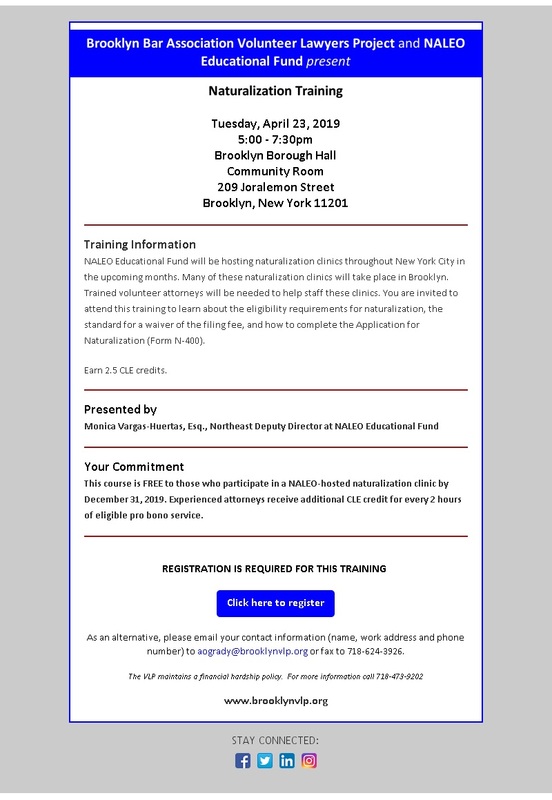 See the Recognition Event featured in the Brooklyn Daily Eagle. 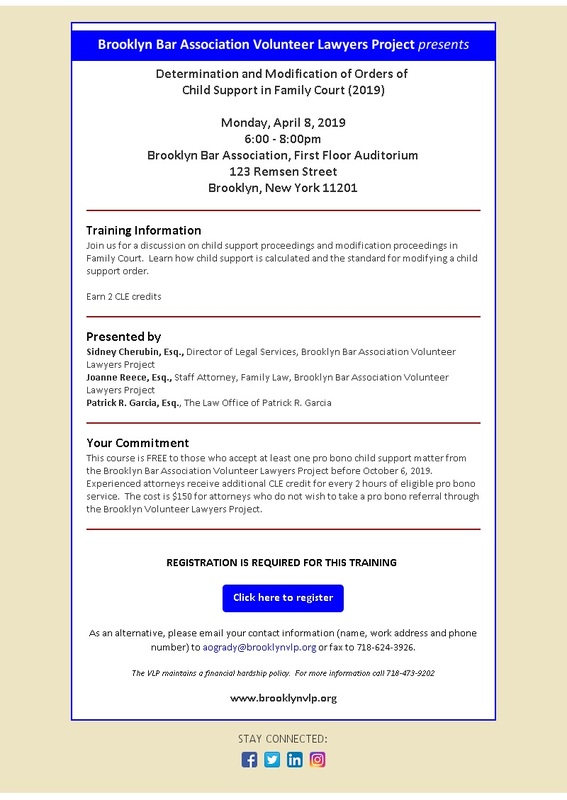 On Tuesday, December 1st, 2015 we celebrated the outstanding efforts of the volunteers who have enabled the VLP to provide critically-needed legal services to low-income Brooklyn residents in 2014-2015. 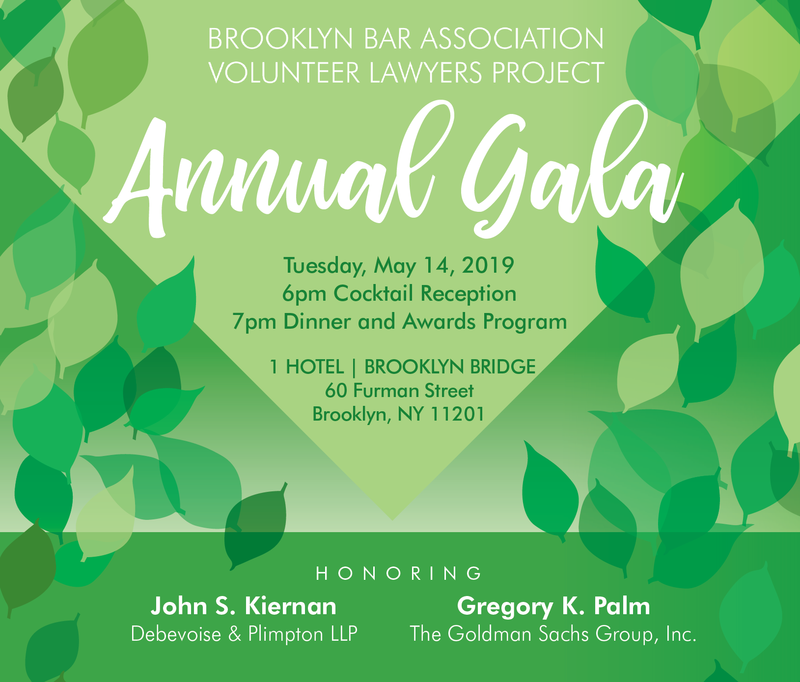 In addition to recognizing the many legal professionals who volunteered with the VLP this year, we presented the Terri and Nick Letica Award for Outstanding Support of Pro Bono to Lawrence F. DiGiovanna, and the Christopher Slattery Young Professional Award to Anna Yasova. Thank you to our dedicated volunteers and supporters for making the 2015 Volunteer Recognition Event a very special evening. We are grateful to all of the wonderful individuals who have helped us make a positive impact on the Brooklyn community. Sidney Cherubin, VLP Director of Legal Services, was one of the panel speakers at New York State Access to Justice’s Law à la Carte Conference: Limited Scope Practicing for Low and Moderate Income Clients on October 14, 2015. Watch the video to learn more about Best Practices in Limited Scope Representation.